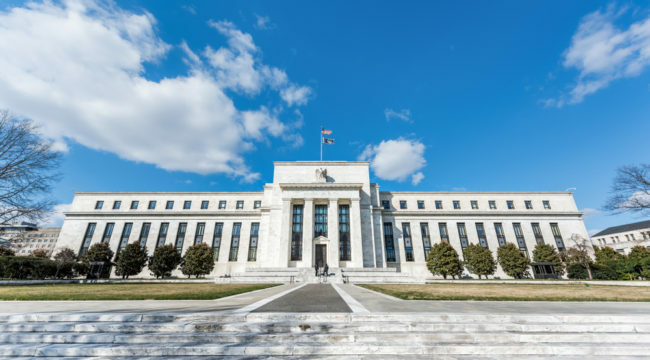 Are the two policies — seemingly disconnected — combining to create a dollar liquidity crisis? Today we identify hidden linkages… connect far-flung dots… and unearth potential seeds of mischief. The Fed inflated its balance sheet by a cosmic $3.4 trillion between 2008–2015. Over $60 trillion of fresh debt sprang into being during this time — much of it overseas. But global growth slipped in 2018’s first quarter — growth even ran negative in Japan. Rising U.S. Treasury yields also attract greater investor interest… which draws investment away from riskier emerging markets. The Fed’s shrinking balance sheet is reducing dollar availability. How in blue blazes do the tax cuts tie in with the Fed’s balance sheet… and a possible emerging-market crisis? But government spending — to state it charitably — has not. February’s bipartisan budget deal lifts spending an additional $300 billion over the next two years. And every dollar pouring into U.S. Treasury debt… is one dollar unavailable for overseas duty. Our agents inform us the Fed has no plans to heed Mr. Patel’s counsel at this time. It raises the prospect of a new liquidity crisis and financial panic worse than 2008… There are not enough dollars to go around. The losses will be enormous… We are closer to the stage (last seen in September 2008) where “everybody wants her money back.” When that happens, there’s never enough money. And so the Fed could bumble its way into another crisis — if the foregoing analysis holds together. Do you think it more likely the Fed will select the right path… or one of the many paths of error?